Traveling in the Nissan LEAF bubble has lifted me out of the worse situations of smelling gas — as I do not have to refuel at gas stations. I do think that I have fewer headaches due to less exposure to the toxic fumes / air pollution. (Headaches can be a sign that the body is not handling the toxicity from environmental pollutants very well.) 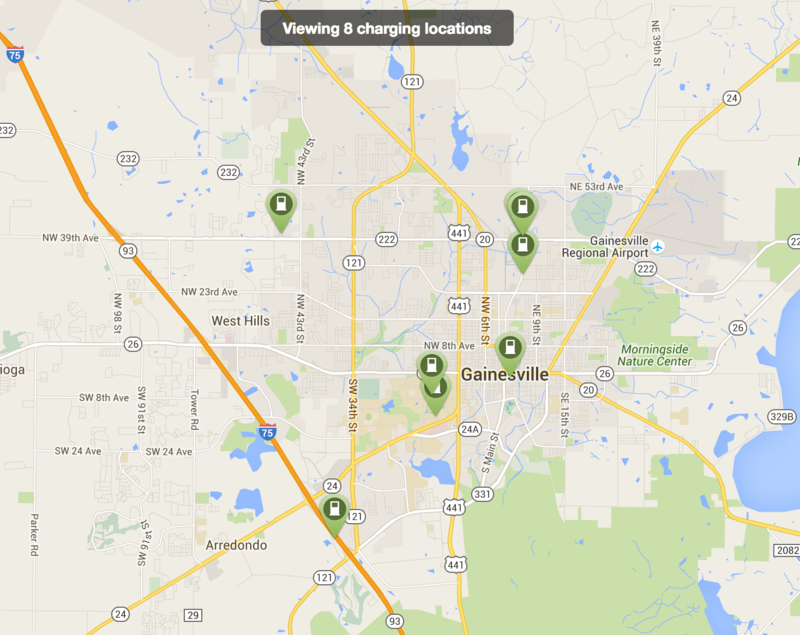 Reflecting on the benefits of clean EV charging stations in better locations, I felt it is a good time to do a brief comparison of EV charging availability — city to the city — supplemented with screenshots of what shows up on my phone and computer (using Plugshare). 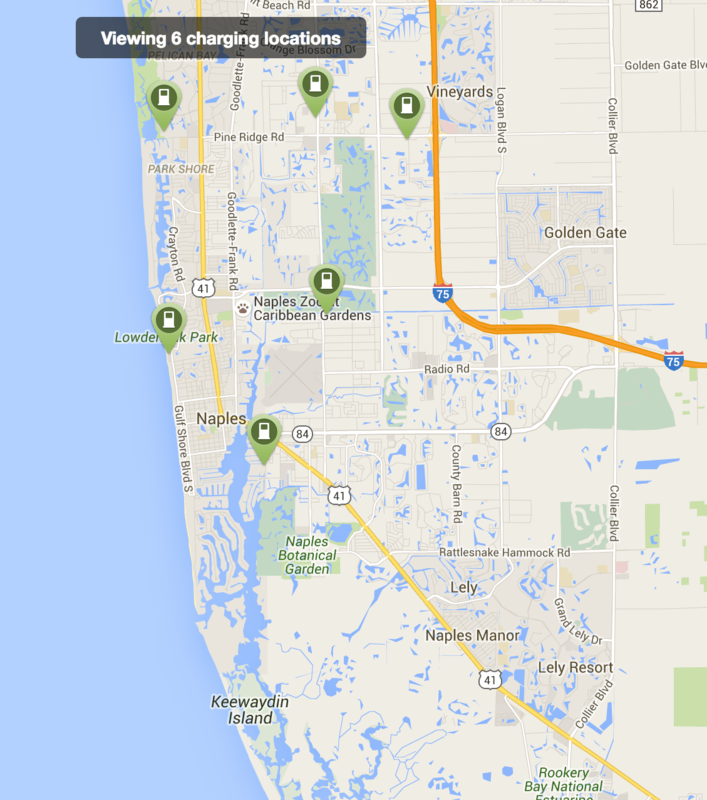 Why does a city the size of Sarasota enjoy so many options and EV chargers compared to a city like Naples, Florida. 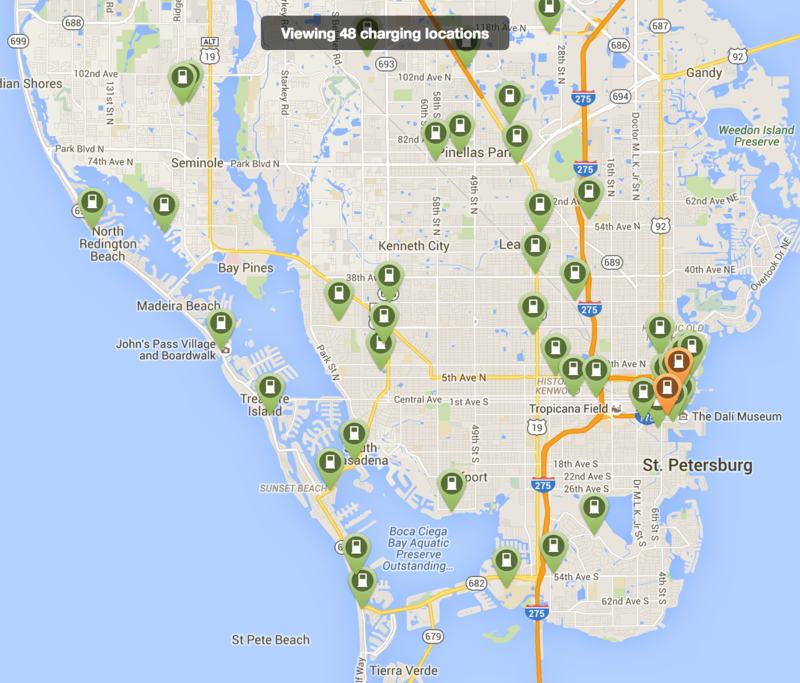 Naples has as much or more wealth than Sarasota to enjoy EVs and EV chargers — but it lacks them. At this impasse I suppose it is due to demand and activism, which seems to be relatively strong in Sarasota. Perhaps Naples appreciates gas cars more than EVs. With long highway-like streets, Naples appears (to me every time I pass through) like one long suburb — I wonder about the mass transit operations there as well. But let’s jump into the maps. Compared to another major Florida university city (one would like to think education and ecological wellness went hand in hand), small Sarasota is a clear leader. 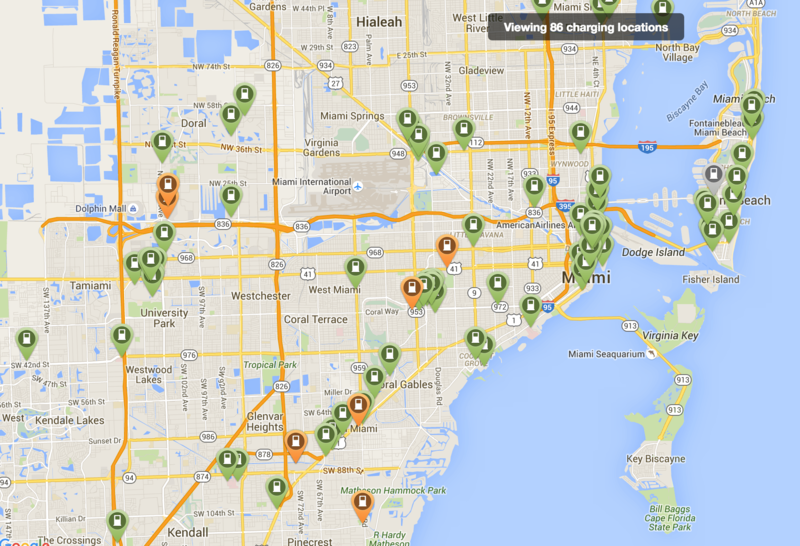 Compared to wealthy Naples, FL, where the drivers prefer Audi’s and other luxury gas cars, Sarasota is like EV heaven! 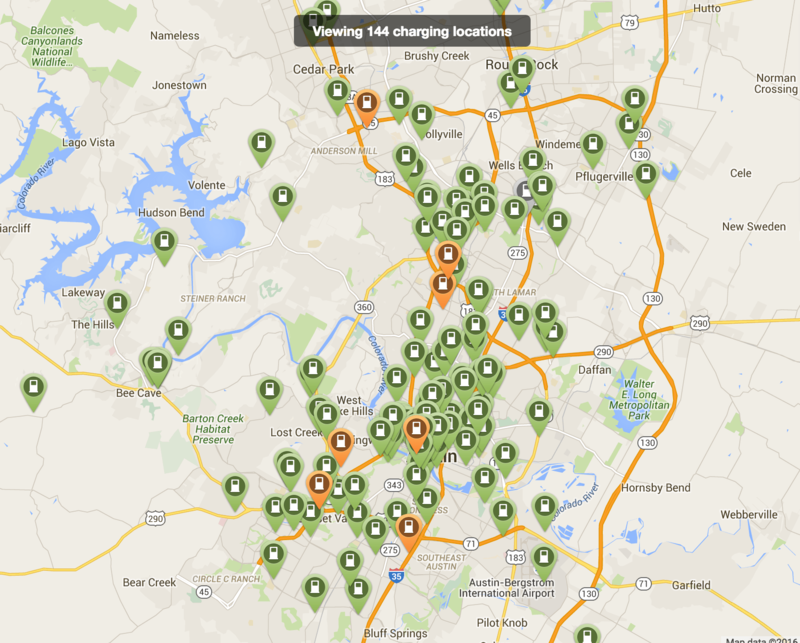 Austin lives up to its green reputation and leadership, with a whopping 144 charging stations! 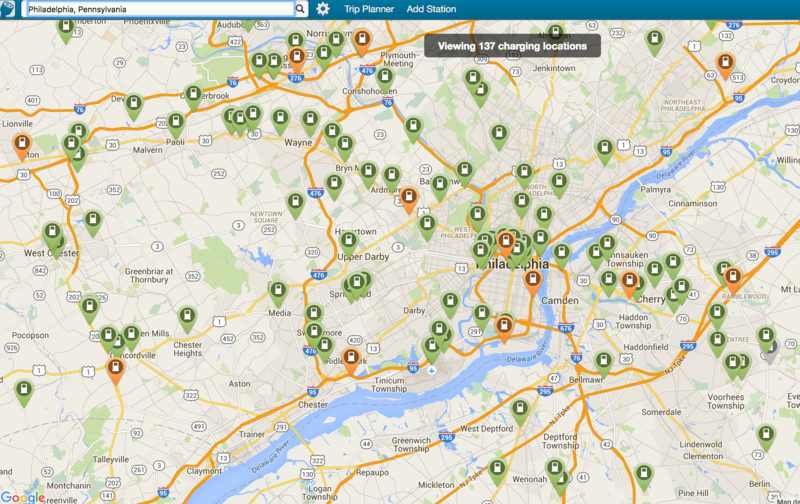 One of the most-loved, pedestrian-friendly, transit-friendly cities of the Northeast United States, Philadelphia shows an abundance of EV chargers as well. Houston is a city that one might sit in at a stoplight with the car running for an hour — and then only to slowly move through at each busy intersection with a light. (I briefly lived in Houston. Hopefully things have gotten a bit better in recent years.) 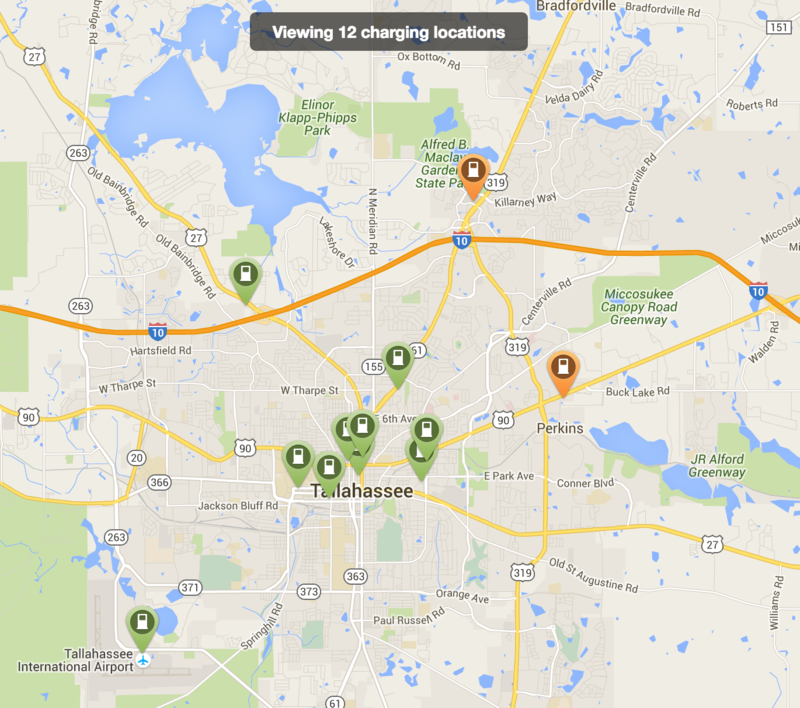 But it does have a fair number of EV charging stations! Montreal is plastered in EV charging stations, and PlugShare won’t even show how many are there when zoomed out to the city scale. New York City, NY = ??? NYC is a bit too abundant in charging stations to get a count as well…. 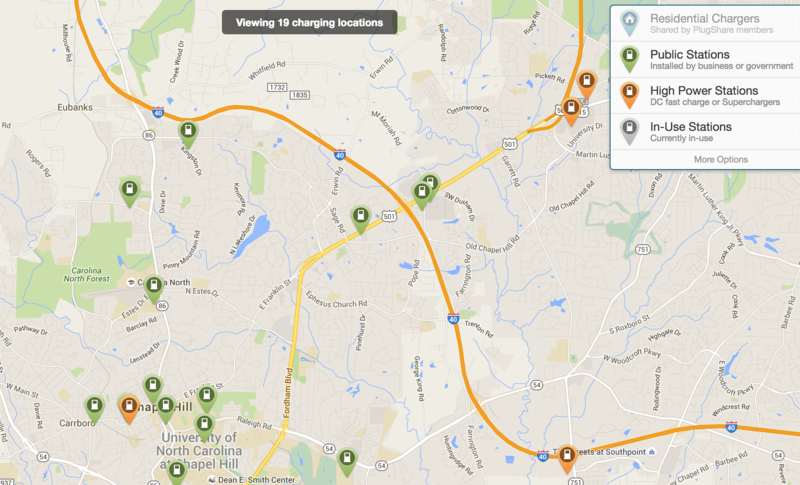 Hippie haven Asheville has a decent 43 EV charging stations. Chapel Hill has perhaps the most people-friendly mass transit in any area I have visited. It’s also a small, bikeable, walkable town. Perhaps one does not have much need for a car. 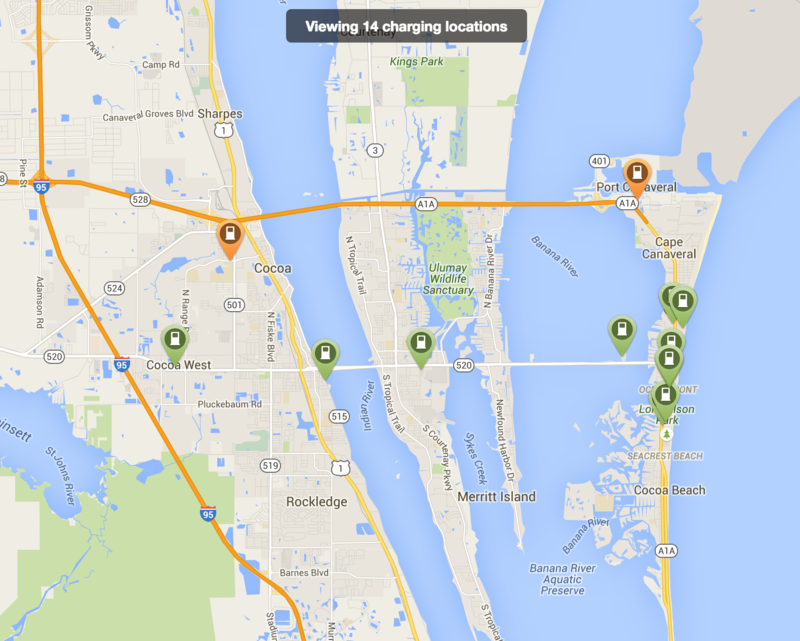 Home of the annual EV Technology and Transportation Summit, Cocoa and a few nearby cities could use some help getting more charging stations in. Paris has a lot more fast chargers than US cities! 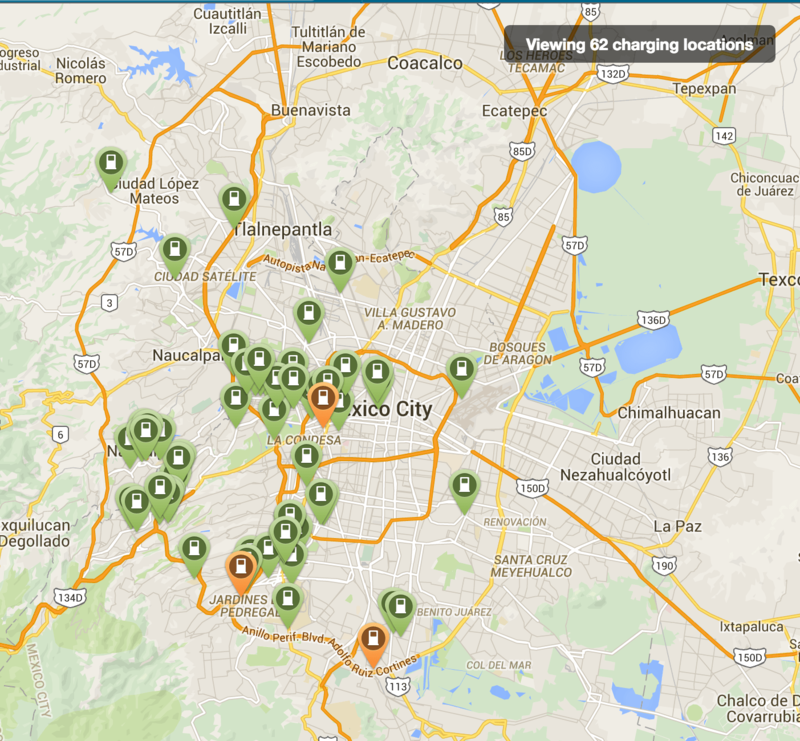 But 84 charging stations is not a lot for a city of that size. 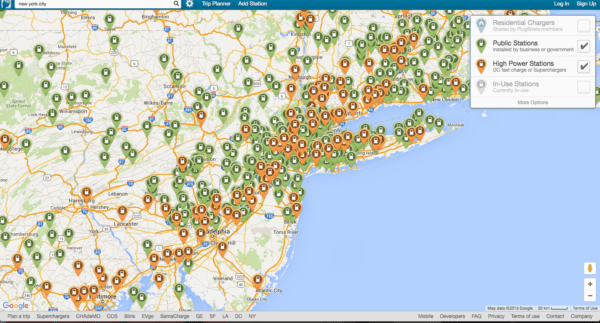 In summary, what are the totals that show up on PlugShare for several major cities and a few small towns? 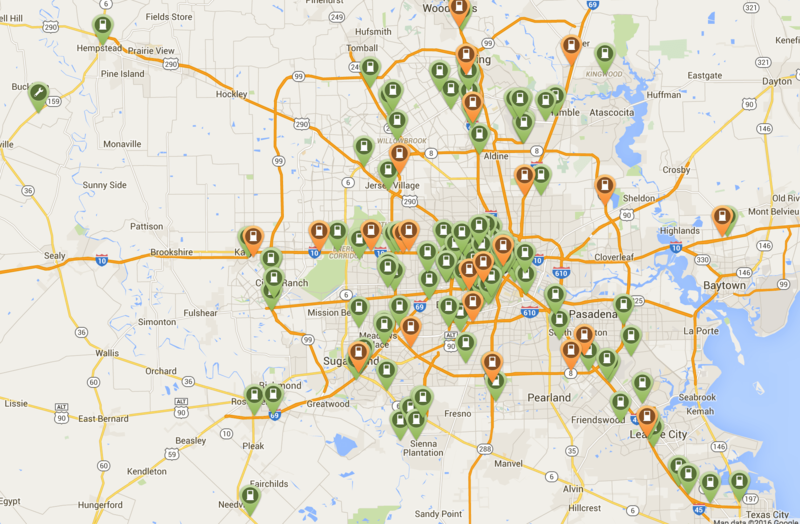 Granted, geographic size, population, and how active PlugShare and its users are at adding charging stations in these various cities could warp the representation of EV charging infrastructure in these maps. Take lessons from them with caution.